Should I moisturize my hair everyday? Should I use a clarifying shampoo before relaxing my hair? Should I condition my relaxed hair before I shampoo? I. Should I moisturize my hair everyday? There are at least five things that determine how frequently you need to moisturize your hair. How well your hair was deep conditioned during your last conditioning session: If your hair was well conditioned on your wash day, you can go as long as 3-4 days before you need to re-moisturize your hair. How well your hair retains moisture: If your hair retains moisture very well, you can go as long as 2-3 days before you need to moisturize your hair. Your environment/climate/season: If you live in an area that the weather is dry or it’s a dry season or winter, you might need to moisturize your hair everyday. On the other hand, if you live in a humid environment, you might not need to moisturize so often. I must also mention here that your home environment or working environment also has a part to play. If the air in your office or home is dry or air conditioned, your hair might also need more frequent moisturizing. During my last wash day, I commented that my hair was breaking a little bit more than normal. I had kept my hair pinned up for three days before letting it down. I hadn’t moisturized at all during that time. I kept trying to understand why my hair was breaking and then it hit me. My chair in the office was just directly beneath the air conditioner: it must have been responsible for drying my hair out. Now, I moisturize nightly and no more breakage for me. 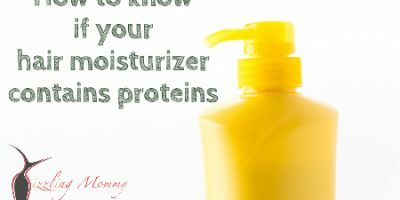 The type of moisturizer you’re using: Some moisturizers are better at keeping the hair moisturized longer than others. Whether or not you seal in the moisture: After moisturizing your hair, it is important to apply an oil on top of that to prevent the moisture from being lost. If you don’t seal in the oil, you should expect to moisturize your hair everyday. Getting to know how frequently you need to moisturize your hair is usually on a trial and error basis. 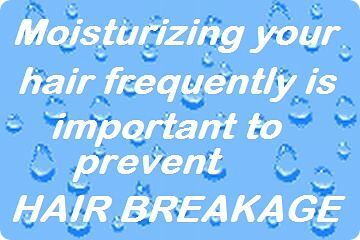 With regards to moisturizing your hair, you need to be proactive. If your hair starts breaking before you moisturize it, then you stayed too long. Next time, reduce the time between moisturization by a day. II. Should I use a clarifying shampoo before relaxing my hair? It depends on how straight you want your hair to get when you relax it. If you want it straight, then you should use a clarifying shampoo to to get rid of buildup 4 days to a week before your next relaxer touch-up. 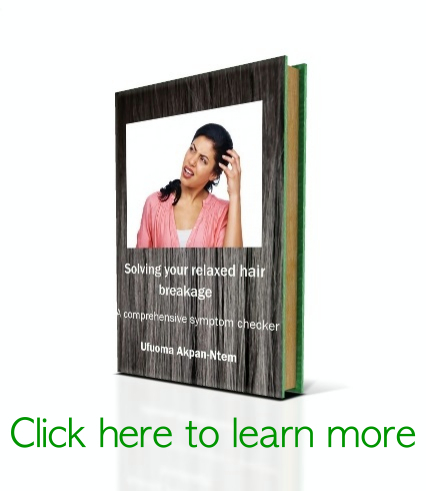 Excess buildup might prevent the relaxer from fully processing your hair. However, if you want your hair to intentionally be under-processed also known as ‘texlaxing’, you don’t need to clarify it. Use a protein treatment. 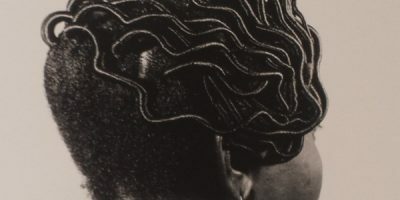 It is advisable to use a protein treatment to prepare your hair for the potential damage that relaxers cause. Deep condition your hair with a moisturizing conditioner to soften it. III. Should I condition my relaxed hair before I shampoo? To prepare your hair for the harsh chemicals in your shampoos especially if you use shampoos containing ingredients like Sodium Lauryl Sulfate, Ammonium Lauryl Sulfate, etc. When you wet your hair, it absorbs this water and expands. As it dries, it contracts again. Hygral Fatigue is hair damage that results from hair expanding while wet and contracting when drying hair. Studies have shown that using Coconut Oil as a prepoo treatment will protect the hair fiber from hygral fatigue. Coconut oil is readily absorbed by the hair. When you use it as a pre-shampoo treatment, it binds to some of the hair’s inner proteins and reduces the amount of water that the hair fibre can absorb. As a result, the hair’s ability to abosrb water is reduced. If you have hair that easily absorbs water (also termed as porous hair), you have an even higher chance of damage from hygral fatigue. This means that if you have hair that is very porous, your hair will absorb more water than people who have hair with normal porosity. It is therefore very essential that you don’t skip the prepoo step. Sunday Sound out: Can WEN® cause product buildup? How long do I leave the relaxer on my hair to obtain texlaxed results? FAQs Friday – How can I thicken my relaxed hair? SUNDAY SOUND OUT: Tea rinses? Greenhouse effect? Aloe Vera? dr…..evry month i hav verbal diarrhoea.. sorry but hey…by now u know im jus a plain hair junkie lol. LOL. You know you’re my favourite commenter right? I just crack up when I see your comments!! Yes I’m doing well and my hair is too.. my dear, it’s not been easy blogging, maintaining family and other things. I’m sure you’ve noticed that I haven’t blogged for a while. You really are an addict but I sincerely love your passion. So the difference between micrograms and milligrams is this: 1 milligram = 1000 micrograms. I actually know that website: you know I browse so many hair sites searching for knowledge. That has helped me this far in my hair journey. Although I think mineral oil and petrolatum are not very good for the hair, I realize that it depends on the particular product in question. Some products containing these ingredients are sometimes good. It’s just a matter of trial and error in the end.